These three bells all fit BOTH my 3+1 compensating Eb and my 3+1 compensating BBb. Last edited by bloke on Wed Mar 27, 2019 6:08 pm, edited 1 time in total. That's really cool. Is intonation effected by any of the swaps? The 17 is about 3/16" longer than the 19...plus the acoustical elongation...so it's barely flatter overall. The intonation tendencies are fairly hard/fast. 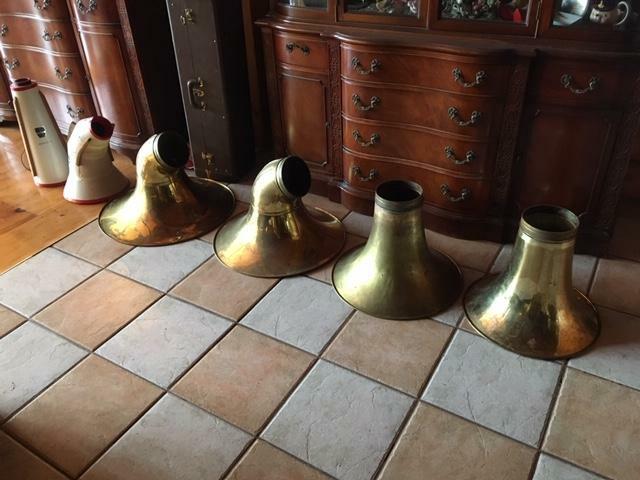 I also have a (26") King fiberglass sousaphone bell in the attic that fits. (These three are all outfitted with genuine Edgware Rd. factory Besson male collars, which are hard to come by. 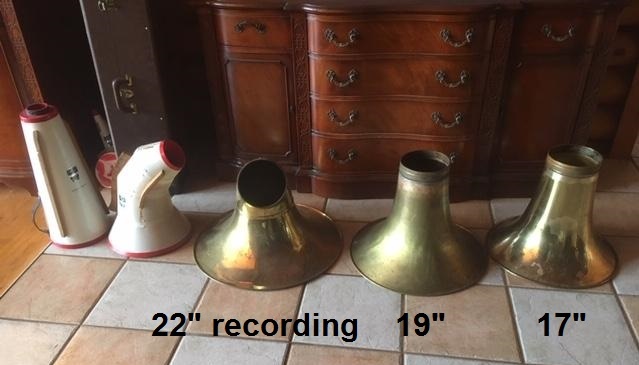 The recording is all original, the 19" is actually a made in England Sterling bell, and the 17" is a very old YBB-201/321 bell (faithful copy of older Besson, and THICK-wall). Will any of the upright bells fit a York Master? NDCompuGeek wrote: Will any of the upright bells fit a York Master? Besson and King collars are the same size (though the Besson collars are much more "titanic"). I just don't know about those B/M Symphonic bell collars. 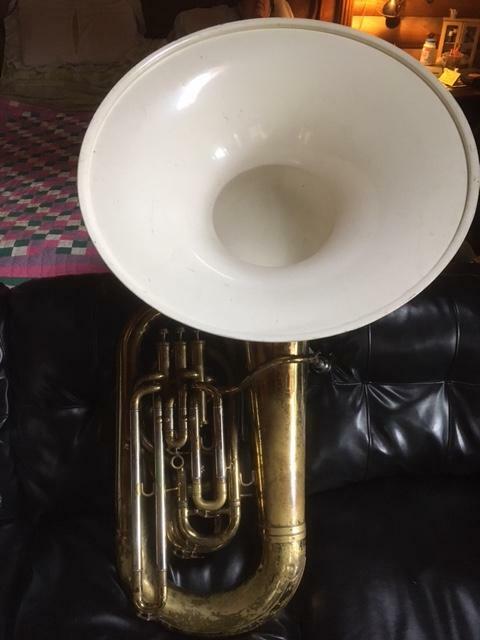 I plan to pair the 17" with my Besson 3+1 recording BBb (so that it will have it's original 24" recording bell, plus a 17" bell similar to that model's upright version). I pair the 19" with my Besson 3+1 recording Eb (so that it will have it's original 22" recording bell, plus a 19" bell similar to that model's upright version). The other bell...the fiberglass King sousaphone 26" bell...well...That one is here until a local repair customer needs one badly enough.